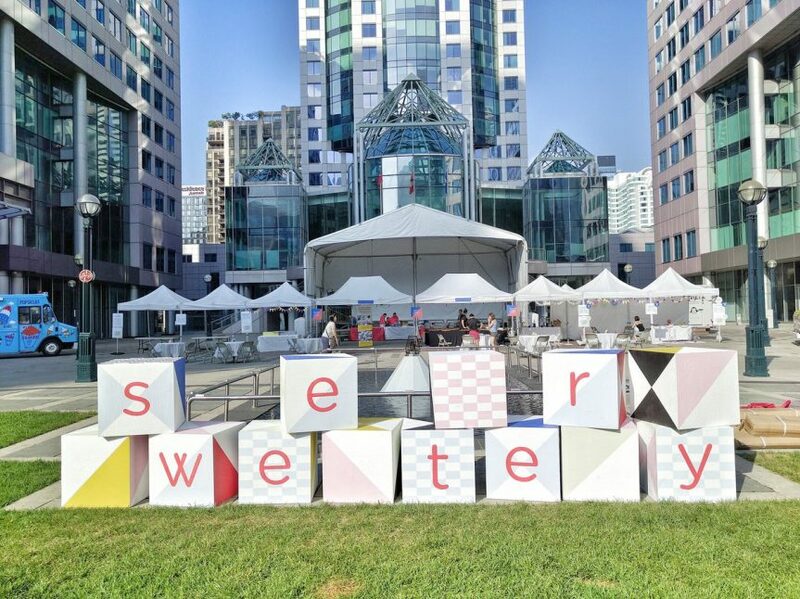 Sweetery Toronto had their 2nd annual Sweetery Food Festival hosted at David Pecaut Square on August 20-21, 2016. It is a not-for-profit organization whose mandate is to create a local event to promote and showcase confectionary and culinary arts in the Greater Toronto Area. The festival is a free, all-ages event, which everyone can delight in. Torontonians are invited to satisfy their sweet tooth by indulging in some of the innovative sweet creations including the funnel cake ice-cream sandwich, candied bacon marshmallow, pressed juice ice pops, and iced coffee parfaits. By experiencing what local food vendors have to offer, Toronto residents will have an opportunity to appreciate, and immerse themselves in this vibrant community. I was invited to the Media Event by the organizers of Sweetery. I chose to attend the event on Saturday, August 20, 2016. For the Media Event, we were able to roam the festival 1 hour before it opens to public to sample food from various vendors. I Love Puffy Love makes marshmallow treats. The marshmallows are handcrafted and made fresh-to-order in small batches. I loved their booth setup as it reminds me of being in a quaint Parisian dessert shop. For me, this was one of the most unique things I had in the festival. It gave a whole different spin to something as simple as marshmallow. I tried the Merry Mojito, Sassy Sangria, Pina Colada Paradise and Raspberry Lemonade Crush. My favorite was the Pina Colada Paradise as the coconut mixed with the candied pineapple goes so well with the delicate sweetness of the marshmallow. Cool Beans makes rich cold brew coffee garnished with your favorite toppings. I think this one takes the cake for being the most instagram worthy. All the drool worthy desserts in one jar in this Crumble Mountain: oreos, ice cream sandwich, whipped cream and italian waffle cookie. One thing I learnt was they use Kirkland Coffee from Costco. Daan Go showcases custom dessert creations by Master Chef canada Season 2 contestant, Christopher Siu aka Baker Siu. They have Cakes, Macarons and Character Cakes. 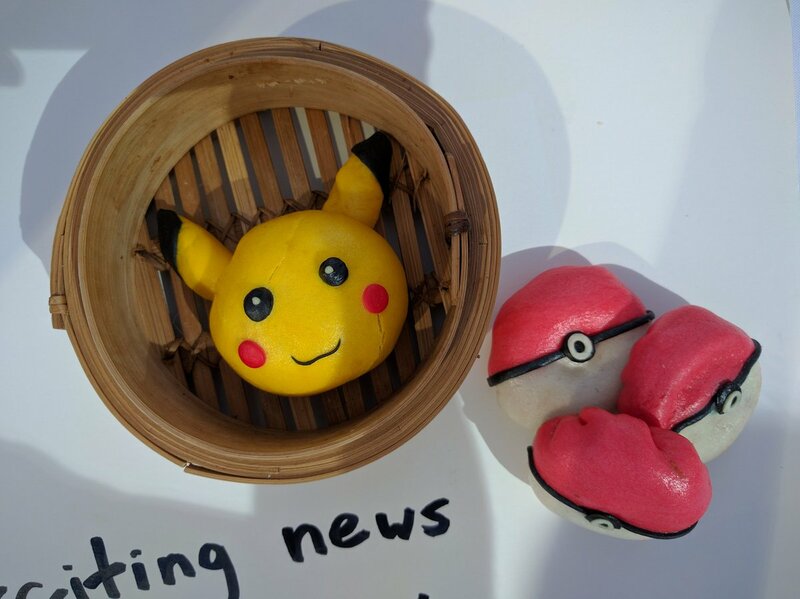 Unfortunately, there wasn’t enough macarons for media to sample as Baker Siu admitted not knowing the number of people to prepare for media. I only got to try a really small bite that I cannot make any comments on. All I can say is they looked pretty. Matcha Tea & Dessert is combining the best of two tea cultures together: Japan and Taiwan. I got to sample their Matcha Soft Serve Ice Cream and the Hokkaido Chiffon Cupcake. I was very impressed with the Matcha Soft Serve Ice Cream – it had a very strong umami matcha taste which I really love! I liked the Hokkaido Chiffon Cupcake because it was soft and fluffy – very opposite from regular cupcakes. The best part about it was it had a matcha filling inside! 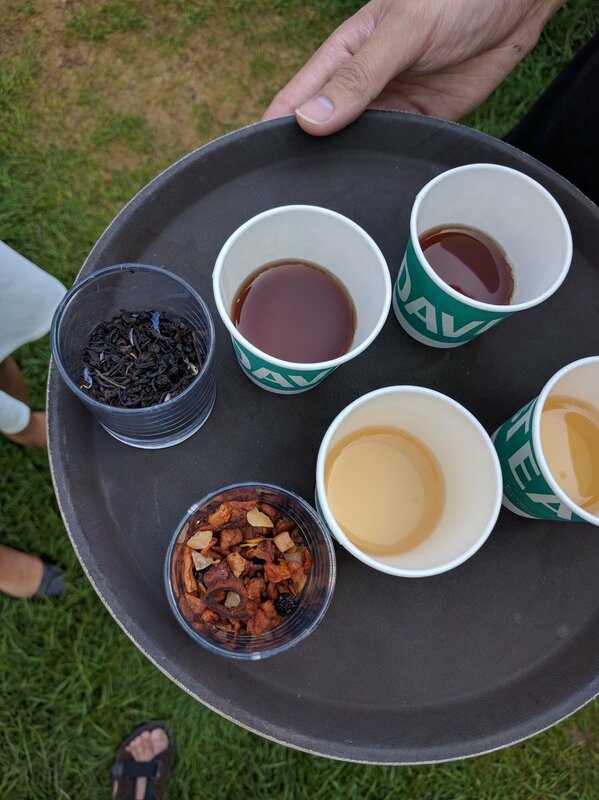 David’s Tea is a Canadian specialty tea and tea accessory retailer based in Montreal, Quebec with over 150 types of tea, including exclusive blends, limited edition seasonal collections, traditional straight teas and exotic infusions from around the globe. I tried their new Caramel Corn tea which has real popped corn, caramel pieces plus fresh hints of apple, pineapple, almonds and coconut. I loved it! It was very refreshing on that hot day and I really enjoyed the taste of popcorn in the tea. Golden Crumb Biscuit specializes in anything cookie with focus on exotic and aesthetic. One thing I was sad I didn’t get to try was the chocolate cookie cups. It’s a “shot glass” made of chocolate chip cookie and you pour milk into it and drink it as a shot (while eating the cookie). You can check it out in my Youtube video though! I tried the Pistachio Cookie and found it underwhelming. One thing I always look for in pistachio flavoured things is it shouldn’t be sweet but rather taste like real pistachio. Unfortunately, I found it a tad too sweet to my liking. 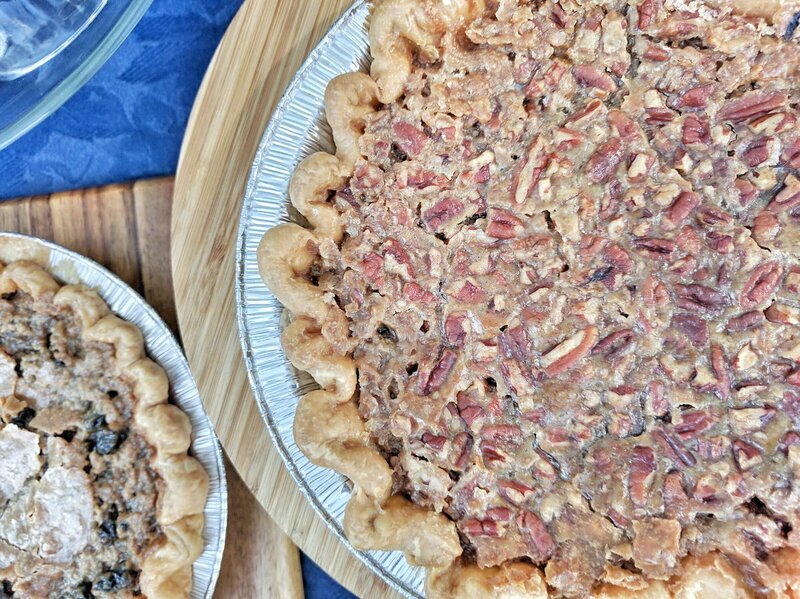 Andrea’s Gerrard Street Bakery offers handmade baked goods inspired by North American classics and childhood favourites. I got to try the their Butter Tarts and I really liked it! It’s as sweet as it should be. I loved the butteriness and the tart pastry was great! 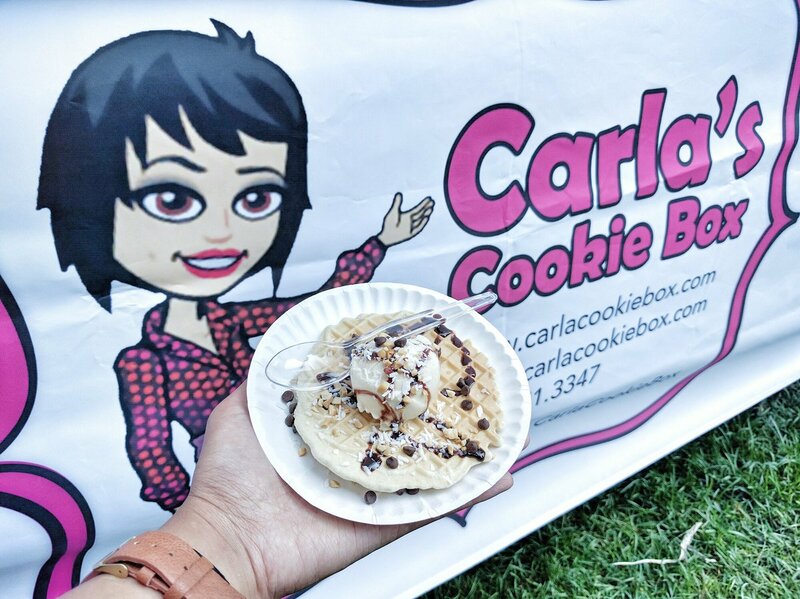 Carla’s Cookie Box specializes in hand-crafted treats for your special occassion using only fresh ingredients. I got to try the fresh baked Italian waffle cookie with gelato, Nutella drizzle and chocolate chips. From what I know about Italian Waffle Cookies, it is supposed to have crisp texture, but this one wasn’t crispy at all unfortunately. It might have been sitting for a while already which maybe the issue. Sweetery has partnered with George Brown College’s Chef School to showcase the culinary arts of our local community and promote the education behind the art of food making. In their booth, each Post-Graduate Pastry student from George Brown College created their own french pastry masterpiece. I only got to try the Yuzu Macaron among all the spread they have in the booth because this was my last stop (stupidly of me) and some of the food have been taken already. The macaron was perfectly chewy just the way I love my macaron. Unfortunately, I think I was too sweetened out already by the media tour that I can barely differentiate the taste. There were a lot more vendors but these were the ones I got to try as we only had 1 hour for media, and we actually had less than an hour since we started later. 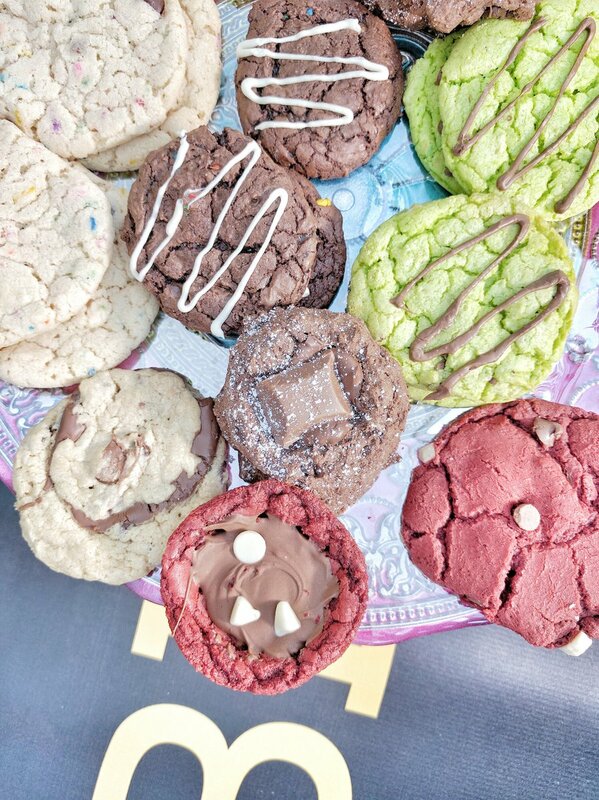 I wish I got to try some of the non-sweet vendors like Heirloom Toronto. Overall, an interesting festival as it was my first time attending. Would like to see more unique vendors next time as there wasn’t a lot that stood out in terms of offerings. Posted on August 21, 2016 by Travelling FoodiePosted in Canada, Food, Ontario, TorontoTagged events.